Purple agate symbolises spiritual elevation and wisdom. The Greek naturalist Theophrastus is the one who named this stone in the fourth century BC. Agate can have different colours and it's formed over millions of years inside volcanic rock. Man has always been captivated by its reflections and it has often used it as a grounding gem. Agate is meant to balance our mental, physical and emotional dimensions and to enhance stability and self-centring. When sliced thin, agate reveals its spectacular tonalities. 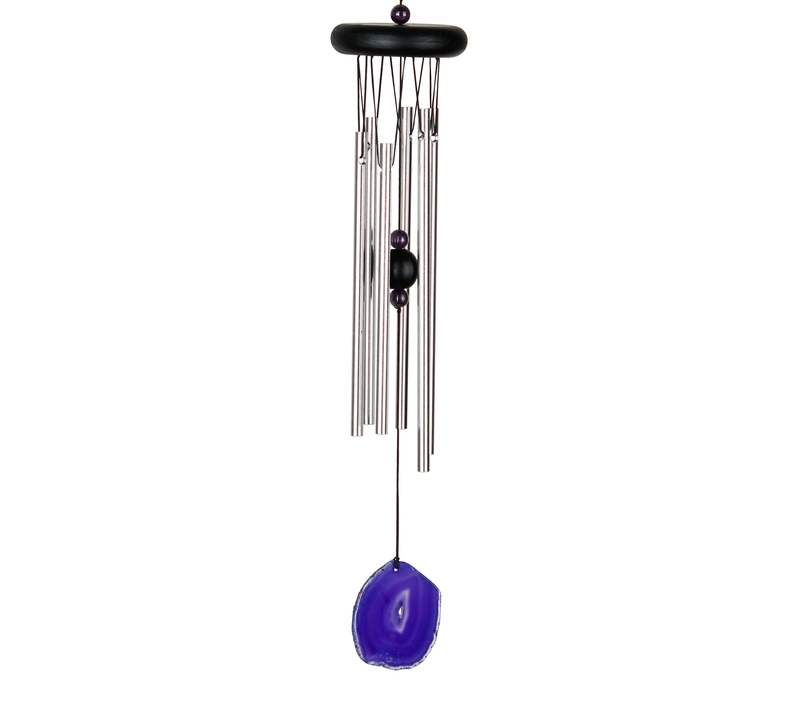 Note: as this chime is assembled with genuine stones, each item is unique. The shape and colour can be different from the one shown on the picture. 46 cm overall length, 6 silver solid rods, black finish ash wood, stone accents.